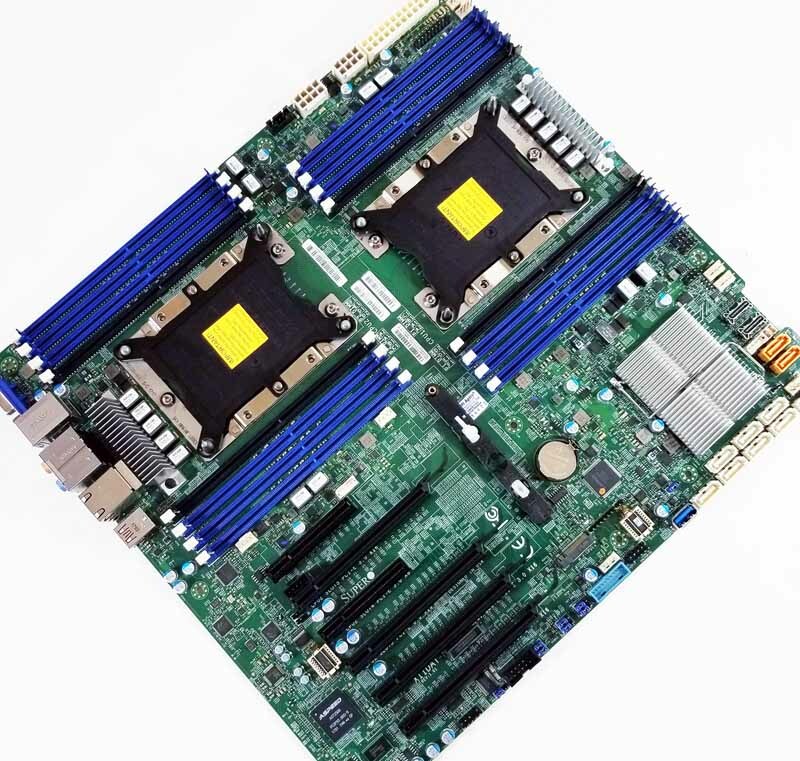 The Supermicro X11DAi-N is a workstation motherboard that can just as easily be used as the base of an office tower server or a rackmount server. The Supermicro X11DAi-N offers plenty of PCIe slots for graphics cards, a Thunderbolt 3.0 port, and audio outputs equip this heavy hitter for workstations. In this review, we are going to see a truly versatile offering that should be on your list of potential motherboards for Intel Xeon Scalable (codenamed “Skylake-SP”) processors. 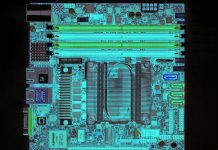 If you are a creative professional, engineer, scientist, or deep learning/ AI researcher and are looking for a workstation motherboard, this should be on your list. 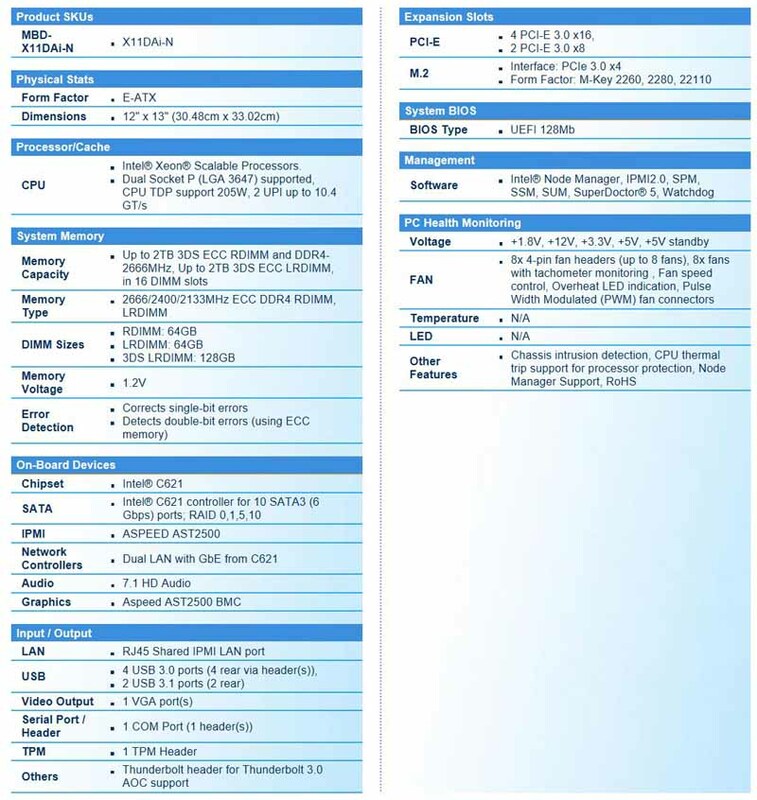 Before we get to the review, here are the key specs from Supermicro’s product page. As you can see, there is a lot going on with this motherboard so let us get to the review. 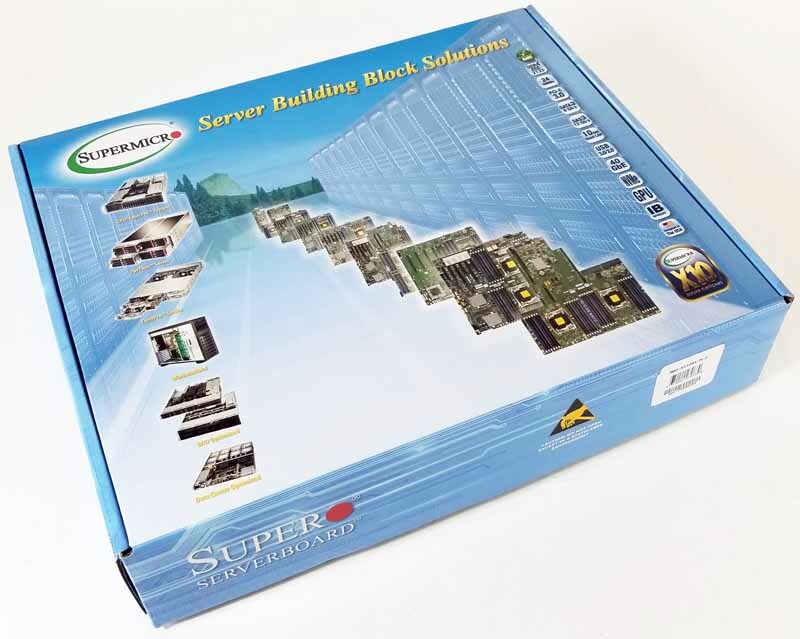 Supermicro retail boxes are simple and right to the point. To see what motherboard included, we must look at the label on the side of the box. This method helps to keep costs down but does require some homework on our part to research what boards have what features we want. Realistically, most of these motherboards are going to be purchased by VARs and resellers or will be purchased online so this matter-of-fact packaging model is preferred. 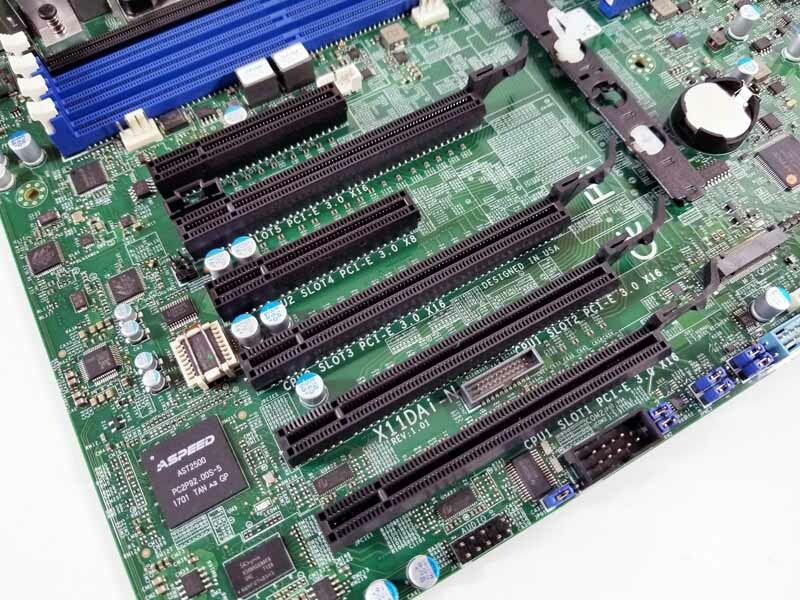 Let us take the motherboard out and get a look at the Supermicro X11DAi-N. One can see the two large LGA3647 sockets that are slightly offset to allow for better airflow. It is still likely that CPU1 airflow will heat CPU2, and that is going to be standard on newer generations of motherboards due to the socket size and number of DDR4 DIMMs slots. Each socket has eight DDR4 DIMM slots for a total of 16 on the motherboard. The six blue DDR4 DIMM slots next to each CPU are for the six channels of the Intel Xeon Scalable platform. These are the ones we recommend fully populating. The two black slots flanking each CPU socket allow for a second DIMM to be installed in a memory channel. We only recommend using this if you need more capacity. We have seen the 7th and 8th DIMM slot additions in this generation to achieve parity to the eight, lower speed DDR4 DIMM slots of the Intel Xeon E5 V3 and V4 generations. New Intel platforms have more bandwidth with six DIMMs installed per CPU than older generations had with eight. The X11DAi-N includes well-defined features, and layout is what we would expect. There are no predefined or labeled CPU fan headers. However, two headers located at the lower right, and two more at the top left memory slots. These are labeled Fan 1 and 2, 5 and 6, these function well for CPU fan control. 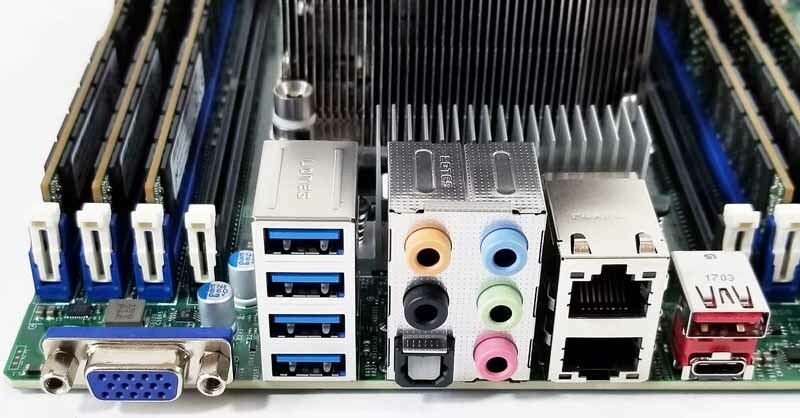 Here we see our Supermicro 2U active heat sinks (part number SNK-P0068APS4) installed and connected to fan headers. These heat sinks are not overly large, which allows airflow across the memory slots via chassis fans. The lower left corner is where we find the storage ports, 10 SATA III (6 Gbps) ports, and two NVMe slots just to the right of the orange SATA ports. Those orange SATA ports are important because they can provide power directly to SATADOMs. Using this technology, one can install a pair of SATADOMs, for example as mirrored boot devices, without needing to install SATADOM power cables. There are headers for such cables but they are difficult to swap in a cramped case. The powered SATADOM headers are much easier to use. In addition to those two orange SATA ports, there are eight white 7-pin SATA connectors. If you are using a 1U or 2U system with SATA III hard drives or SSDs, this is plenty of storage without needing to add an additional host bus adapter. That saves on both power and cost. The NVMe ports are Oculink headers which we are seeing to see in systems from more vendors with this generation. While the system has an M.2 NVMe SSD slot and several PCIe expansion slots, the addition of the two onboard headers is nice. 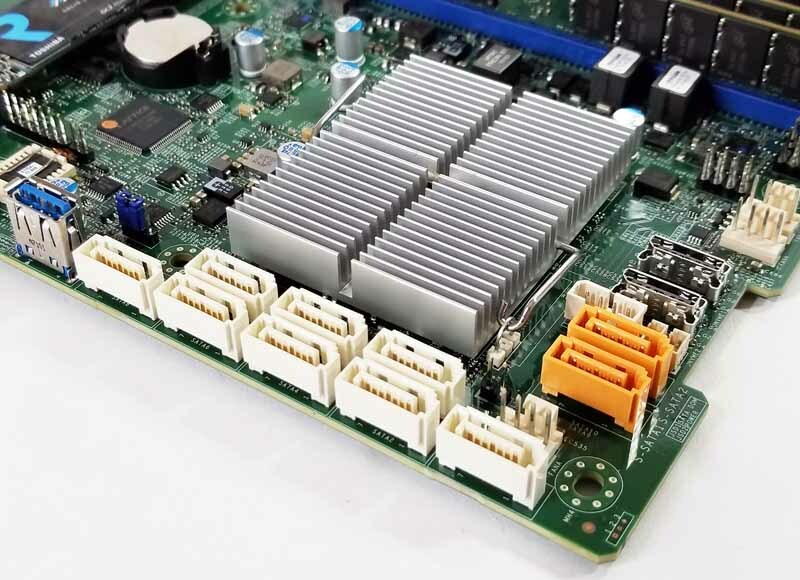 We have seen Supermicro systems where there are two hot-swap 2.5″ NVMe bays at the rear of the chassis for additional capacity/ cache drives such as in our Supermicro SuperStorage SSG-5029P-E1CTR12L 2U Storage Server Review. The internal USB 3.0 Type-A header next to the SATA ports is a great feature for workstations that have hardware license FOBs that are tied to USB keys. Putting them inside a case offers some measure of safety. In terms of PCIe expansion, the Supermicro X11DAi-N has six PCIe 3.0 slots. Starting at the edge of the motherboard, we find slot number one. If you only have one CPU installed, you would use the PCIe slot next to the edge of the motherboard when using expansion cards; this seems reversed from other boards. To unlock full PCIe functionality, you will want two CPUs installed. Supermicro also has a Thunderbolt 3.0 header for Thunderbolt support. The M.2 NVMe SSD drive mounting system is the same we saw on the X11DPi-NT motherboard we reviewed earlier. We like this better than the previous generation simple screw mechanisms that used borderline microscopic screws to secure NVMe SSDs. That is truly an amazing array compared to some of the competition in the category. There are both ample USB 3.0 rear ports along with two USB 3.1 ports spanning both Type A and Type C connectors. Supermicro also has front panel headers for USB 3.0 and USB 2.0. Networking is provided by the Intel C621 chipset. As a result, we see dual 1GbE ports. IPMI functionality uses a shared LAN functionality instead of a dedicated port. We think many purchasers of these motherboards are going to use add-in cards for high-speed networking. The Supermicro X11DAi-N offers setup flexibility with its built-in IPMI and iKVM. We do not see workstation motherboards often that have IPMI included as a standard feature. These are standard features we find on most Supermicro motherboards, but we feel it is worthy to note these features as many other brands do not include this, or if they do we find different SKU’s or require a dongle which adds costs. Having IPMI on workstations can have a profound impact. For IT admins, it allows the remote installation of OSes and BIOS tweaks for remote troubleshooting at a very low level. Furthermore, after a workstation is used for a desktop, many are re-purposed into pedestal servers. Having IPMI makes this transition easy as there is onboard video and iKVM functionality for remote management. 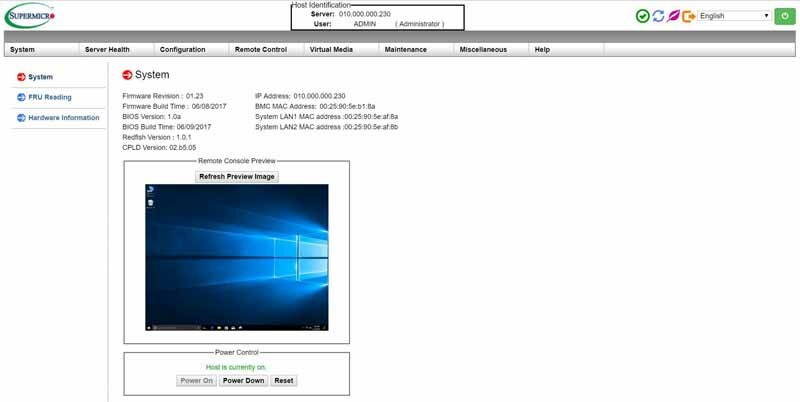 Remote management access is the same as other Supermicro motherboards, enter the IP address and login with ADMIN/ADMIN. The Supermicro X11DAi-N can run under iKVM or VGA outputs as you would expect systems like this would. We will note that this motherboard has eight DIMM slots per CPU but we are only using 6 slots. 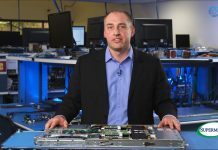 The Intel Xeon Scalable platform has six memory channels, up from four on the previous generation. Using six DIMMs allows us to fill memory channels for maximum performance in 1DPC mode. Overall results are solid with these CPUs. The Intel Xeon Gold 6134 CPUs we use are low core count, high-clock speed versions. 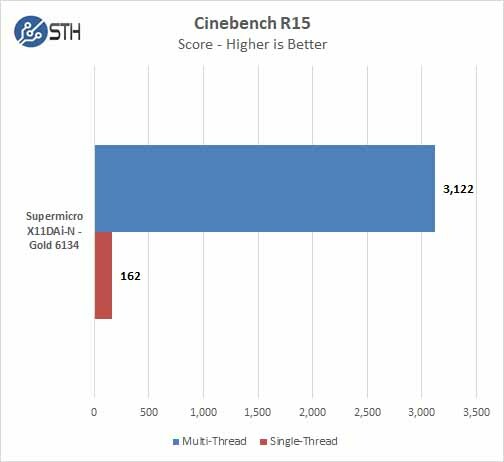 Cinebench tends to favor more cores with additional L1 caches. 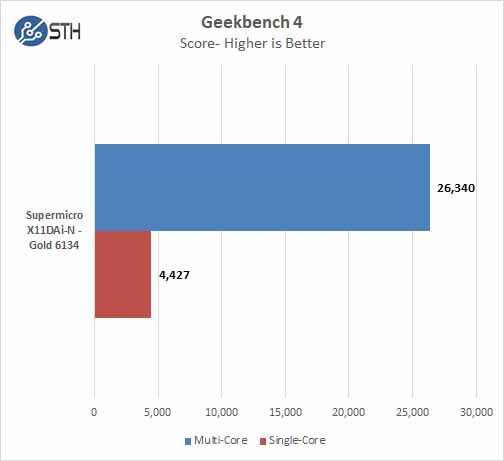 These numbers are much higher than we see with Intel Xeon Silver series CPUs. With PCMark 8 you can test the performance of all types of PC, from tablets to desktops. With five separate benchmark tests plus battery life testing, PCMark 8 helps you find the devices that offer the perfect combination of efficiency and performance. 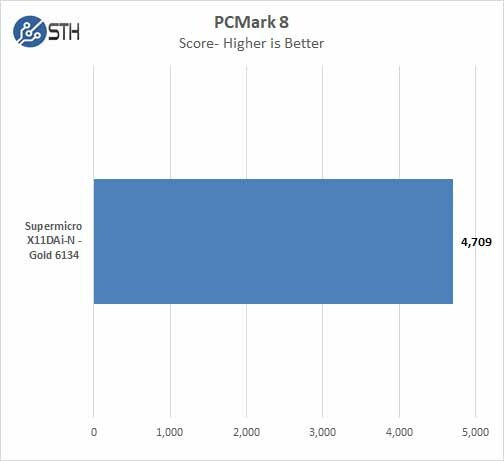 PCMark 8 is a complete PC benchmark for home and business. PassMark PerformanceTest allows you to benchmark a PC using a variety of different speed tests; it tests the entire PC and all its components. Overall, we can see a number just shy of 6500 rating points which is very good. 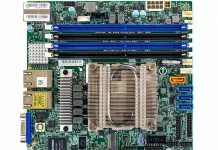 Supermicro’s release of workstation motherboards based on the new Intel Xeon Scalable platform offers impressive feature lists. Like we saw on the X11DPi-NT new Oculink ports, and M.2 drives offer up considerable storage expansion capabilities for workstation systems. The X11DAi-N features enough PCIe slots that three double-width graphics cards such as the NVIDIA GTX 1080 Ti which are popular with the deep learning / AI developers. 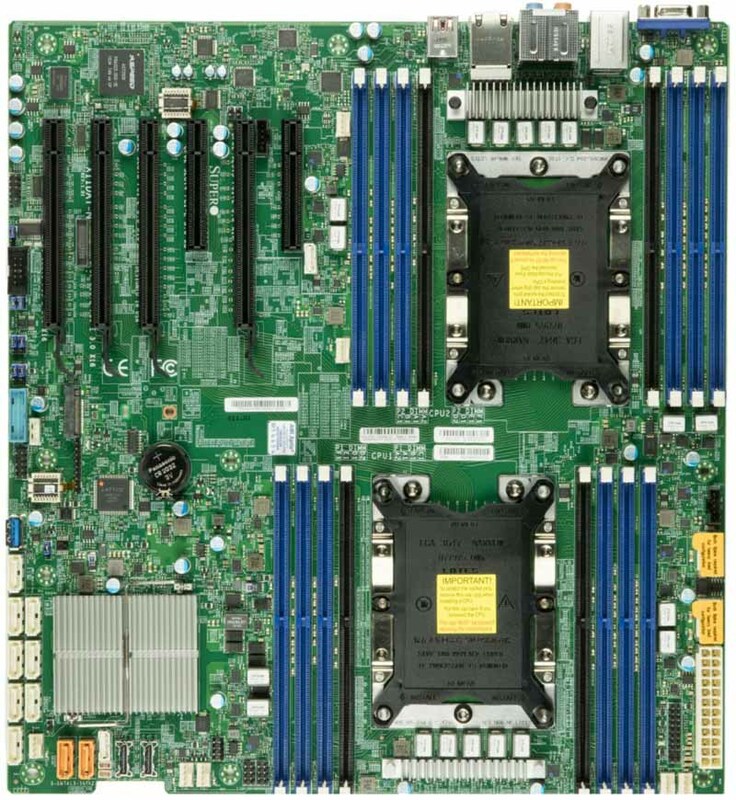 The Supermicro X11DAi-N is the baseline dual processor workstation motherboard from Supermicro that can fit into a wide range of system setups with its versatile feature list, remote operation or local desktop systems being the main use case. Overall the X11DAi-N makes a great workstation motherboard with plenty of options. For IT admins who are managing the workstations of deep learning/ AI researchers or creative professionals remotely, having IPMI and the ability to remotely monitor, maintain and troubleshoot systems at a low-level is a game-changing feature. At just over $500 street price, we see this as a fairly priced building block for a professional workstation. 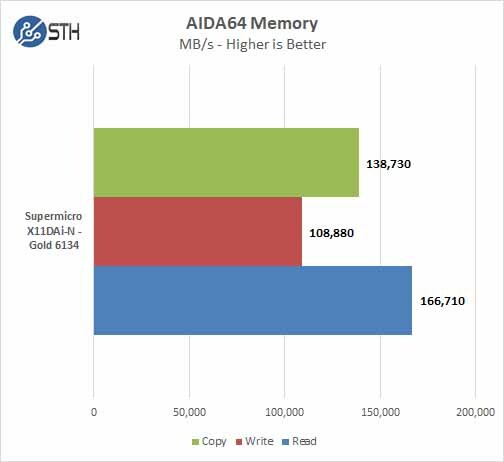 The performance gains of the new architecture especially in memory bandwidth constrained applications or those who have software that can utilize AVX-512 can be stunning. 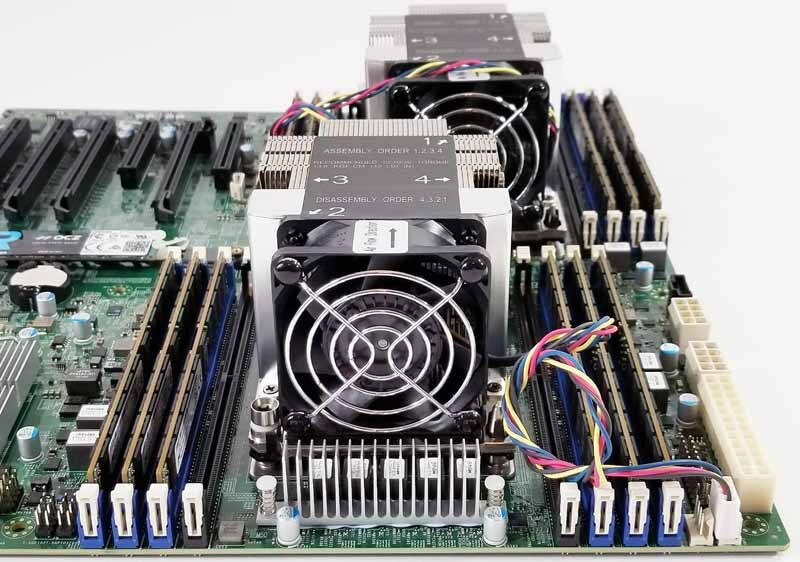 The Supermicro X11DAi-N is a dual processor workstation and server motherboard that supports dual Intel Xeon Scalable CPUs and plenty of storage and plenty of GPUs for creative professionals, engineers, scientists and deep learning / AI researchers. Nice board, pitty it only has one 8-pin power connector (160W) per socket. 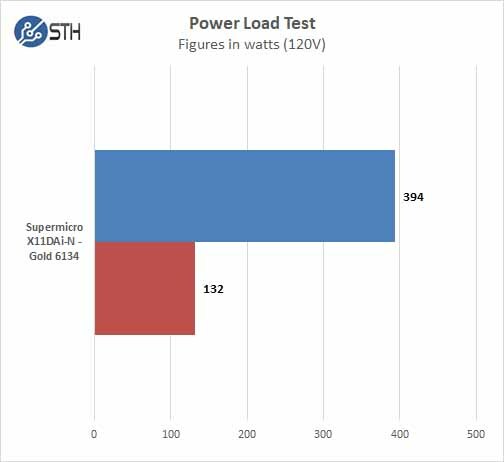 With AVX512 a 205 TDP cpu has no problem using 300 Watt and many of us still remember what happened with early X299 boards with only one 8-pin power connector. The problem with the SuperMicro offerings is that many of them don’t feature 3UPI links for some reason, which is huge. Getting 50% more intersocket bandwidth is everything in 2P configurations.